So you spent a bunch of money a new fancy monitor. You joyfully open it up and plug it in. You think it looks good… but does it? You’d be surprised. 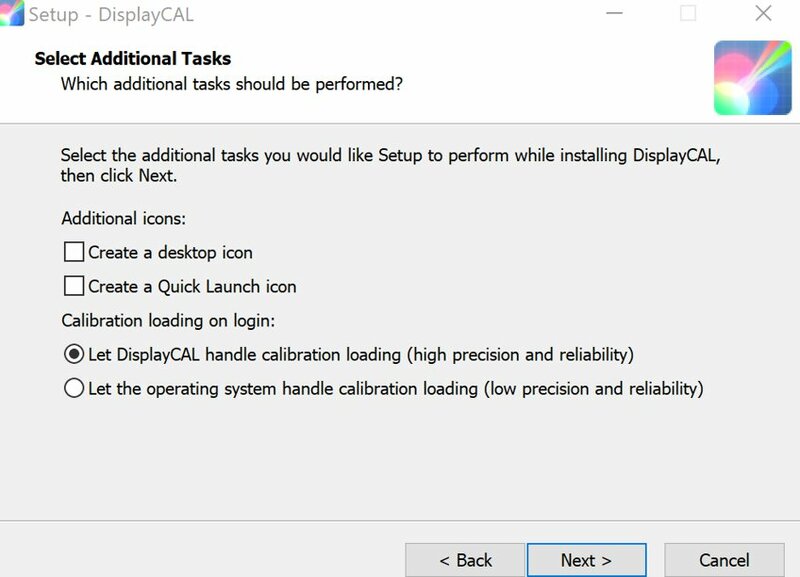 Why do you want to calibrate your monitor anyways? 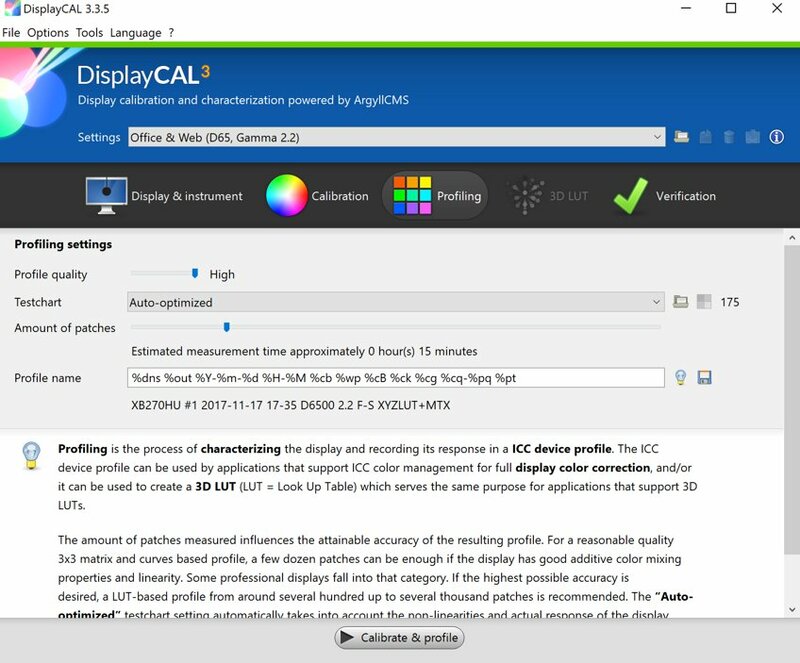 Most monitors sold today are not properly calibrated. They are typically calibrated a blue color which can look nicer initially as well as hides color imperfections. Over time monitors “drift”. They become dimmer and their output changes. Calibrating every few months helps keep your monitor always looking it’s best. You want things to look how they are supposed to look. Video, photos, print work, are all targeted at specific color temperatures. If you monitor is not calibrated to specific values then things won’t look how they are intended to look. You want to be able to have a process to set the color and brightness of your screen accurately. You can have two of the same monitor and they almost never have the same brightness and color output. 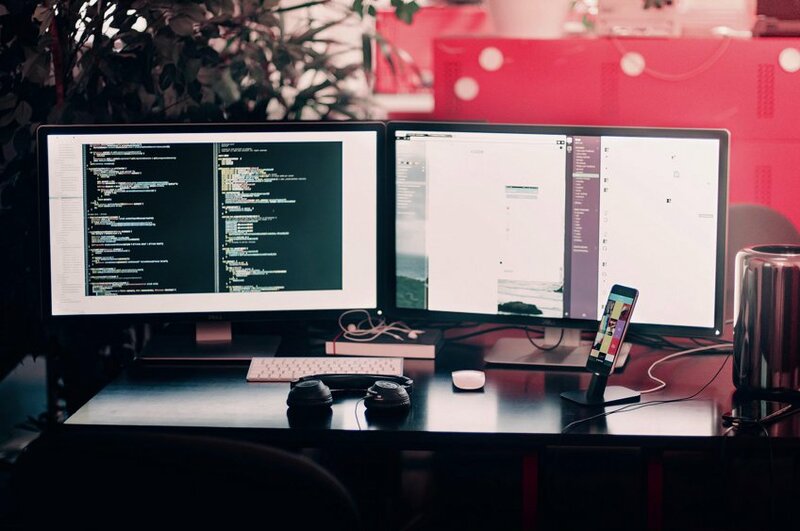 If you have multiple monitors, and want them to look as close to the same as possible, it’s not practical to do it without calibrating them. If you are a power user, I find calibration can reduce eye fatigue. If you can lower the brightness of your screen and get good color from it, then why not? This is a “shotgun” guide to calibrating your monitor. It is not as exhaustive as it could be as the software is fairly straightforward, and we talk about the important basic stuff. The software does contain an advanced mode with many more features and settings. Truth be told most people probably never will have to touch the advanced settings. This guide targets those in office and web settings, and I assume that if you need advanced features or settings after reading this guide you should probably understand enough of the process to get done what you need to. First things first, you need only one piece of hardware called a colorimeter. 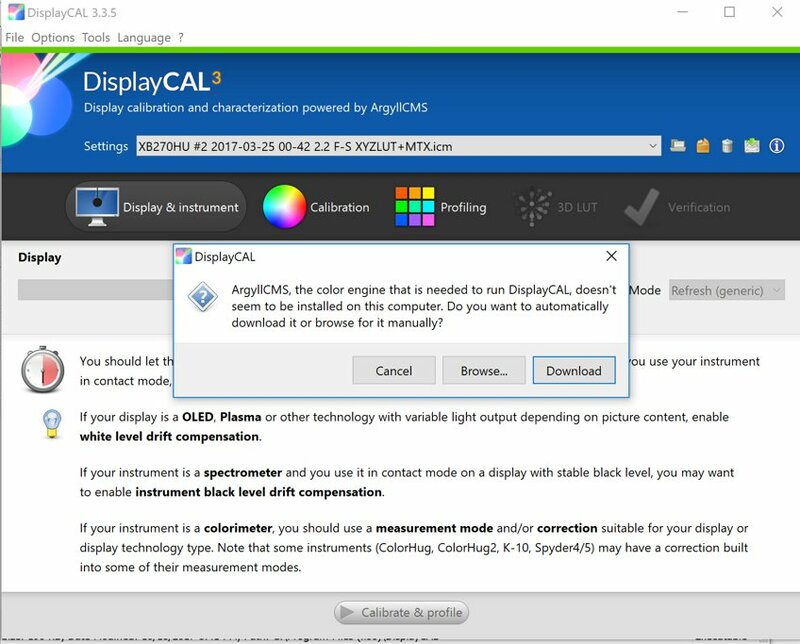 This is a device that you place on your monitor and it can read the color and brightness on the screen allowing the calibration software to make changes to the color profile. There are a few brands of colorimeters, ultimately it’s up to you to chose which one to use. I use and recommend the Spyder5 EXPRESS. It’s on the cheaper end of the scale, works over USB 3.0, and does a fine job. Probably not the fastest one out there. If speed is important consider spending a few extra bucks and getting the X-Rite i1 Display Pro. The software that comes with these units is not that good and we aren’t going to use them. So don’t pay more for the “higher end” Spyder5 versions, as far as I can tell it’s the exact same device with slightly different software and a higher price tag tacked on. I have also tried the X-Rite ColorMunki Display, unfortunately I could not get it to work on my system and it seems it only works on USB 2.0. Full disclose, the version I had was from about a year ago so I have no idea if they fixed that issue. I just can’t recommend it because I couldn’t get it to work. If you want you could get this one you just should probably find out if it’ll work on your system. Video format of the following text. 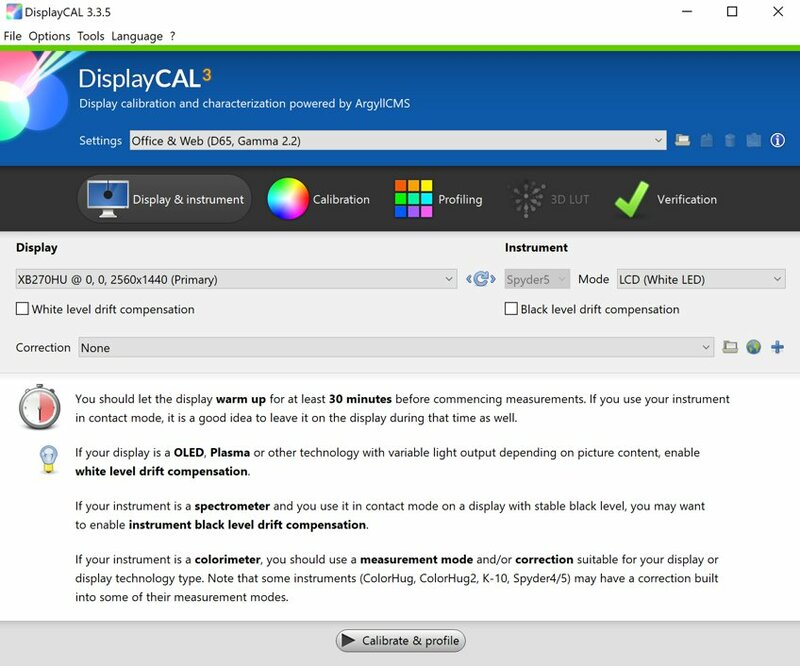 There is a free piece of software called DisplayCal that we will be using to calibrate our monitor with. Go download it now. The version I’m using is 3.3.5. Nothing too crazy here. 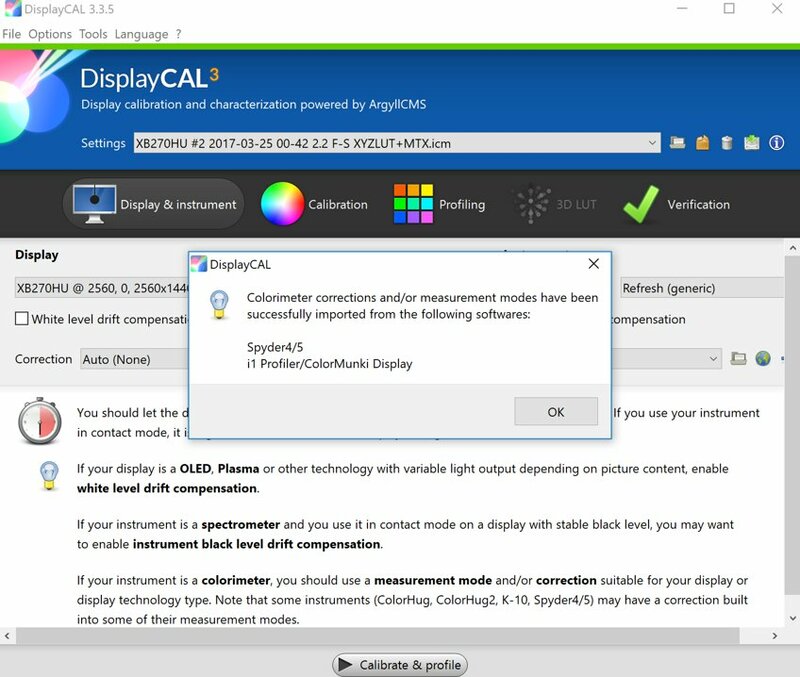 Just make sure to have Let DisplayCal handle calibration loading checked. 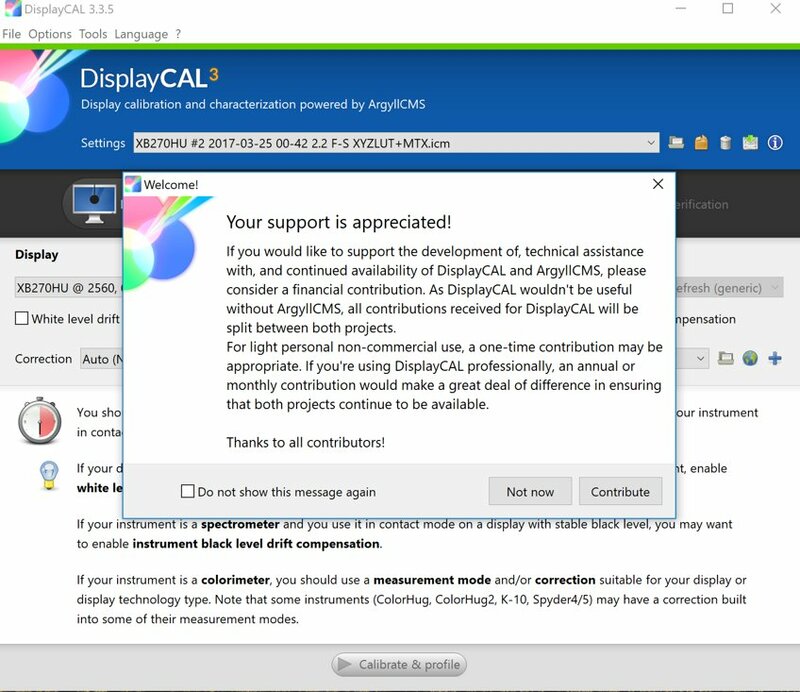 If this is the first time you have launched DisplayCal it will ask you to download ArgyllCMS. This is needed for the tool to work so click Download. 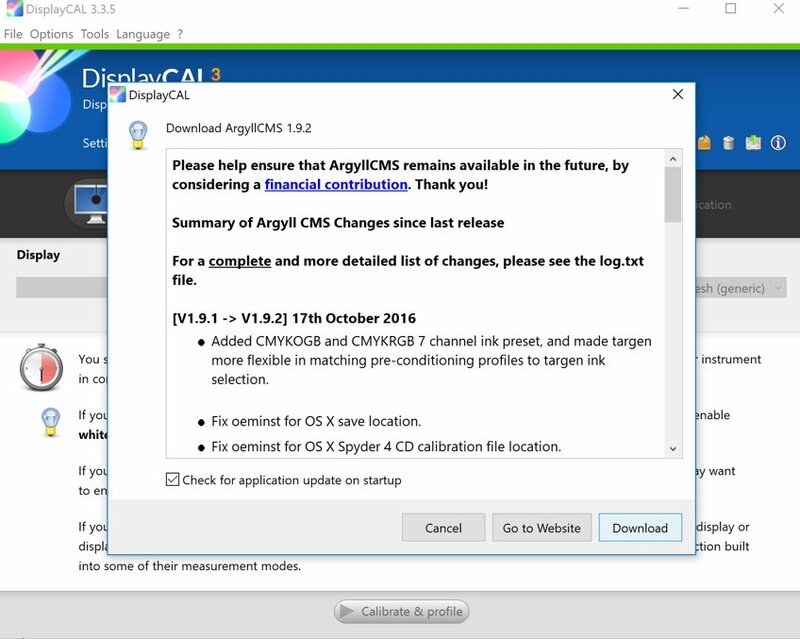 On the next screen it will basically verify that you want to download ArgyllCMS, again click Download. After installation there will be a Welcome dialog asking for your support, handle it however you deem necessary. It’s a great free tool and people should help support it but I’m not your mom. Note: If your instrument shows up you can skip this. Since I am using a Spyder5 we need to do an additional step of downloading some drivers to get it to work correctly. From the top menu Tools → Instrument → Install ArgyllCMS instrument drivers. You will get another pop up asking you to download it, click Download & install. 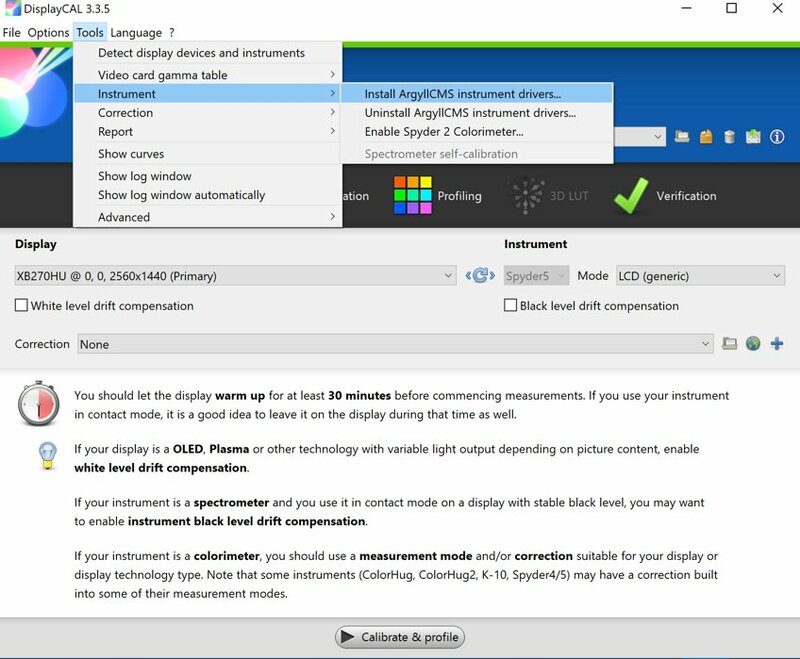 The next screen asks you to import colorimeter corrections, click Auto. And we get a success message. This part is either or easy or hard, depending on a lot of factors. There are a few things to go over before getting down to business. There are 3 sections to set up before you calibrate. I’m not going to cover everything because there are lots of options that may or may not be needed. Instead I’ll get you through the basics which should lead to a calibrated monitor. So the first thing to do is make sure the screen you are calibrating is selected under Display. Generally speaking most content, TV, movies, etc… are targeted at D65 Gama 2.2. Most people should use these settings. In DisplayCal it’s pretty easy because there is a setting under Settings → Office & Web (D65, Gama 2.2). This is what most people should pick. The next thing to do is to figure out what Mode you need to set. In this case you will see I selected LCD (White LED) because my monitor uses W-LED edge lighting. This will probably differ from your monitor so you will have to look up what kind of technology you monitor uses. If you are not sure what to pick you could use Refresh (generic) for non-LCD monitors, or LCD (generic) for LCD monitors, which as far as I can tell works fine but might be slightly less accurate. You’ll notice a section below all the settings, make sure to read it. If you have an OLED or plasma monitor, check White level drift compensation. 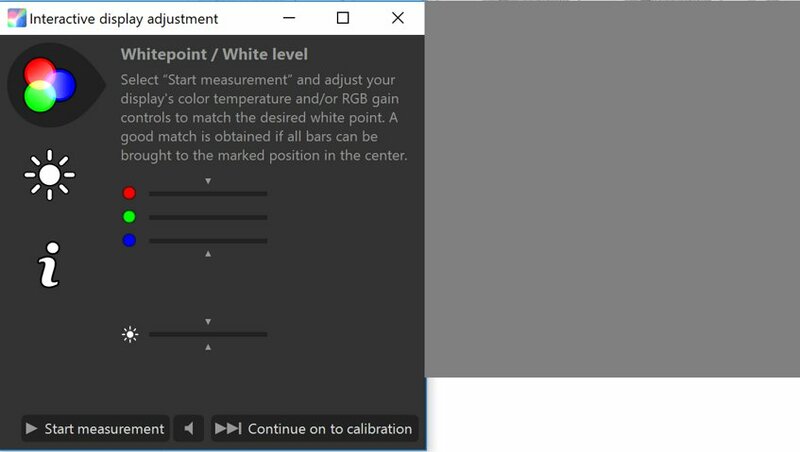 If you don’t plan to warm up your colorimeter (requires adding another 30 min or so to calibration), you should also select White level drift compensation and Black level drift compensation. The reason for this is that when the colorimeter warms up it will change how it reads colors. This can be pretty huge, it can swing in a pretty wide area. Generally speaking you should keep the Interactive display adjustment checked. We’ll see it later and it’s handy assuming you can actually adjust your monitors color and brightness settings. 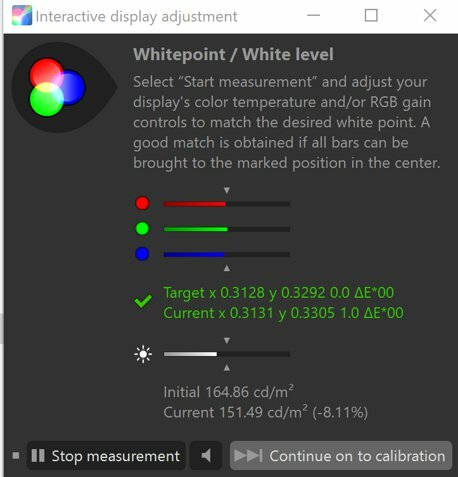 Whitepoint is the color temperature that you will be calibrating to. In this case it is 6500 because that is what D65 stands for. Common values range from 5000 – 6500, but unless you have a good reason for changing it, I’d set it at 6500. Only users that need to do special print matching or photo stuff might have to change this. Whitelevel is essentially how bright your screen is, or luminance. 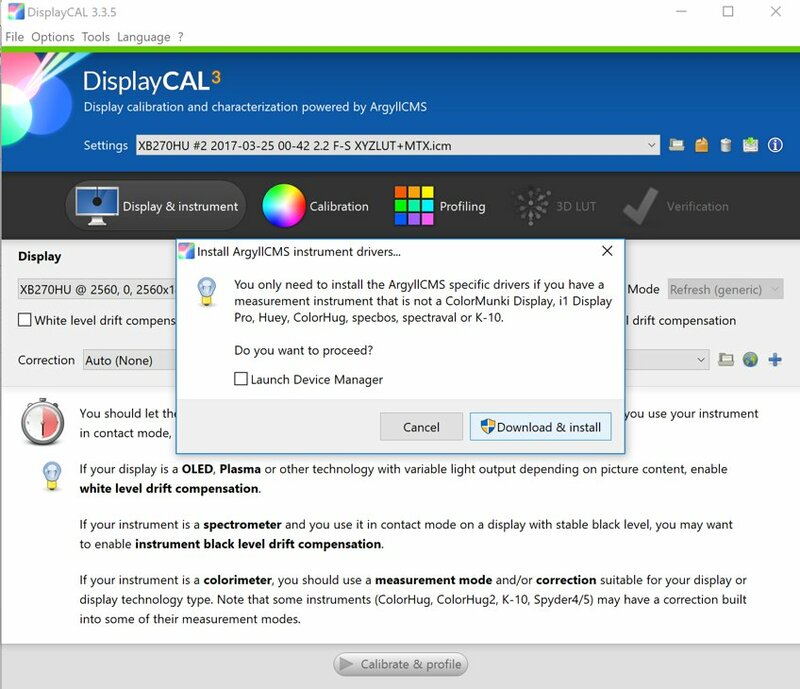 So before calibration you should set your screen brightness to whatever you find comfortable and use As measured. If you wanted to set a value though, common values range from 85 – 150. 120 in particular is a very typical value for print matching work, and a good general value if you don’t have a preference or simply don’t know where to start. There is no best or perfect value though, use whatever works for you. 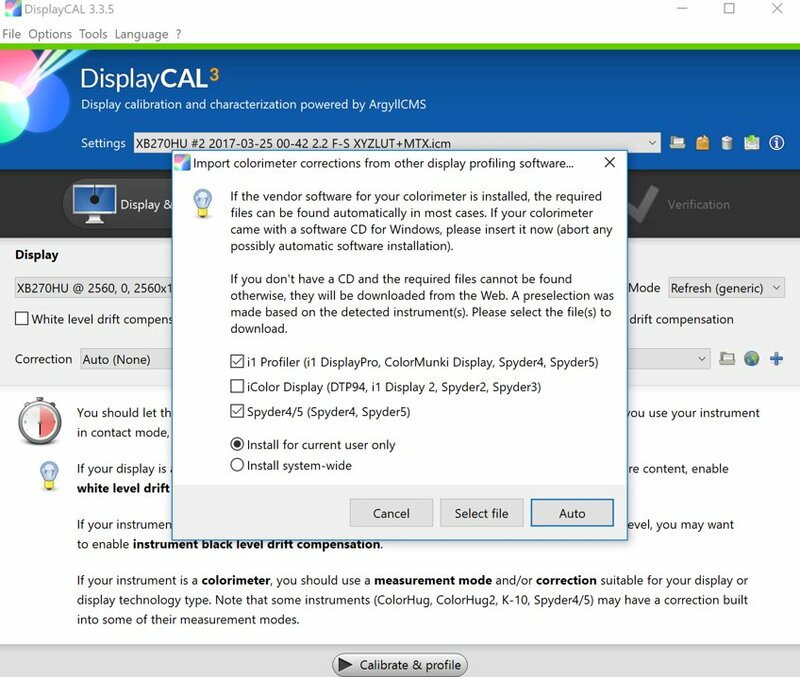 During the Interactive display adjustment phase, record the value, and set this value on other calibrations for other monitors if you want them to look the same. Tone curve should be set to Gama 2.2, there really isn’t a reason I can find why you would not set it to that. You should also adjust your monitor to this gama setting as well, which is outside of the scope of this tutorial because this can vary by monitor. Calibration speed is how long it takes to do the initial calibration. I’d recommend High for most people, but up to you. If you work with photos Medium might be nicer but might be hard for most people to tell the difference, remember it adds significant extra time to the process. Amount of patches is a quality setting. If you are going for max quality you should set this to several hundred / thousand, but note it will also take hours to perform. For most user a couple hundred is fine. In this case I have mine set to 175. 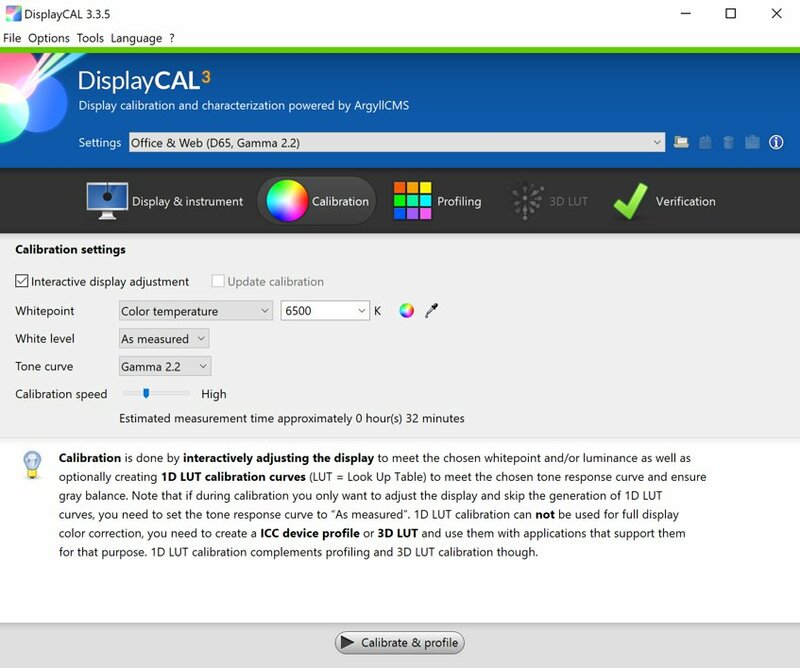 You should make sure that your monitor has been on at least 30 minutes prior to starting calibration. Once you set, all that is left to do is click Calibrate & profile at the bottom of the window. 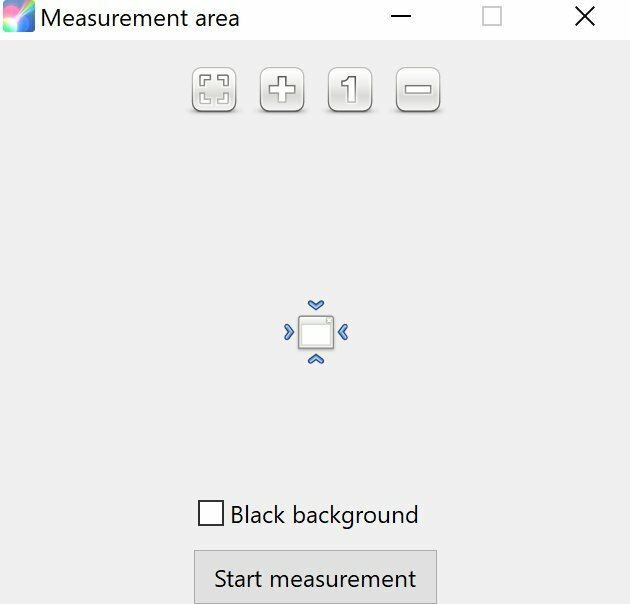 A new window pops ups title Measurement area. You can resize this window if you need to, but I find the default area is typically correct size. Place your colorimeter over your screen and center it in this box. In order to keep the colorimeter on the screen, I suggest tilting your screen back a bit so that it continues to make good contact. When you’re all set click Start measurement. You will see a new pop up called Interactive display adjustment, and the measurement area will flash a few different colors as everything is getting set up. Once it’d done click the speaker icon because the sound is annoying. If you selected White level drift compensation and Black level drift compensation in your settings earlier now is where you stop. Take a 30 min break and let your colorimeter warm up and then continue this section. If not, carry on. Now your goal is to adjust your display color to within 1 delta. You’ll notice 3 colored bars, adjust your monitor until all the bars are as close to center (the triangles) as possible. How to do this varies by monitor. Search your monitor settings until you find RGB sliders. On my monitor they are under Color Temperature. Once you are within 1 delta you should see some text light up green. If you can not get it lined up super close, it’s not the end of the world. Get it as close as you can. Note: Sometimes you have to adjust two colors to adjust one color. For example on one of my monitors the red doesn’t like to adjust how you think it should by adjusting the red slider, but by lowering both blue and green you can raise the red level. If you can’t adjust your monitor in this way (common on laptops) then skip it. Next adjust your brightness to the level of your choice. At the bottom it lists where you started, and below that what the current value is. If you set a custom Whitelevel under Calibration then the center triangles are your target. Once your monitor is adjusted as you see fit, click Stop measurement. Then click Continue on to calibration. Nothing left to do but sit back and let it do its thing. Once it is done you can apply the new profile. If you have never done this before there is good chance the new profile may look weird, for example my monitor looked a little red. If your monitor had a heavy blue color this should be expected. Give it a good day or three of use and before you know it it’ll look right. If your monitor is too bright or dim redo this process and target a different Whitelevel. Updated Jan 8 2018: Add info about warming up colorimeter.